Escuela de Nuestra Sra. de La Salette is a center for development and formation of the young through quality, human and Christian education. As a De La Salle Supervised School, La Salette offers a well-rounded curriculum benchmarked from La Salle Green Hills and employs the innovative Dynamic Learning Program. La Salette School is our second home. 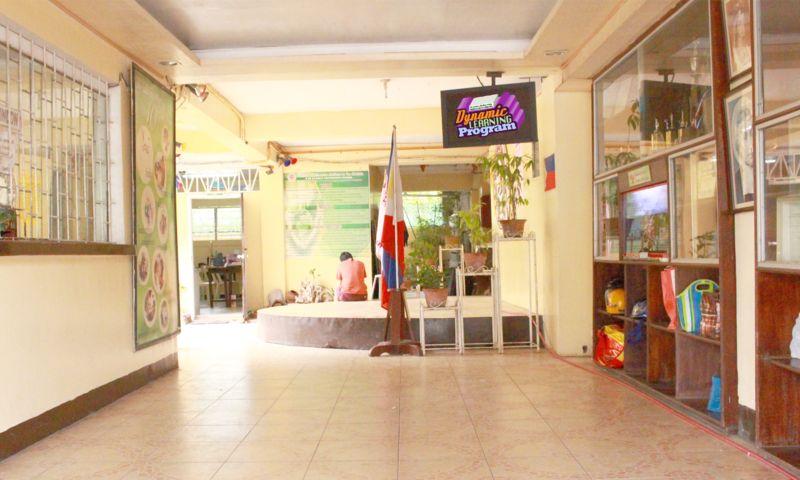 We live, breathe and learn inside the hallowed halls of our school. This is our place to grow and create friendships that will last for years to come. As in any home, we are all family – the La Salettian-Lasallian Family! The CVIF-Dynamic Learning Program (DLP) is an innovative teaching approach that promotes independent learning in students to improve academic performance particularly in Science, Technology, Engineering and Mathematics (STEM). Developed by Ramon Magsaysay laureates and world-renowned Theoretical Physicists, Dr. Christopher Bernido and Dr. Ma. Victoria Carpio-Bernido, DLP utilizes parallel learning groups, activity-based multi-domain learning, in-school comprehensive student portfolio, and strategic study and rest periods. La Salette administrators are also tapped as ambassadors and are in the forefront of DLP teaching and research in the Philippines .